Hola. 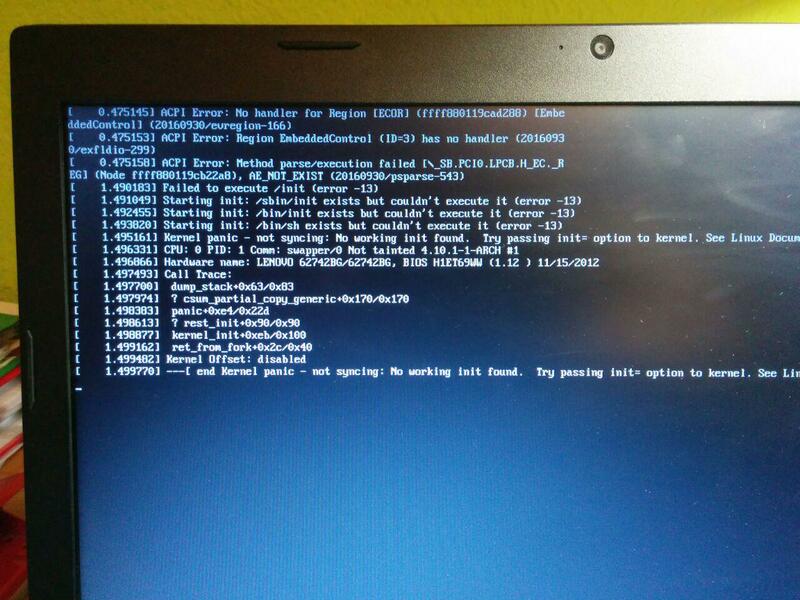 Tengo instalado antergos en el ordenador de mi padre con KDE. Está todo en castellano, tanto kde como libreoffice (he entrado a configuración-idiomas y está puesto en español). Y los menús de libreoffice y todo aparece en castellano sin problemas. Sin embargo cuando le das al botón guardar y se abre una pantalla con carpetas para seleccionar en la que quieres guardar aparecen tanto los nombres de las carpetas como las opciones en inglés. ¿Alguien sabe como podría poner eso en castellano? SI fuera para mí no tendría problemas, pero mi padre claro, no se aclara. @SpoliatoR I have connected the pendrive before turning on the computer, and despite at first it didn’t recognised it, when I have unplugged it and then pluged in again it worked, it recognised the pendrive. However, when I have copied a file, it started with 100MB/sg aprox but it dropped down continously until 20MB/sg aprox. Later I have rebooted with the pendrive unplugged and it came bag to not recognise it I fear. How could I make it to be recogniseble even if it’s not plugged from the begining? any way to improve the writing speed? Hi. Hi have installed Antergos recently. SInce I have installed it my USB 3.0 port doesn’t works with USB 3 devices. If I connect a USB 2.0 device in the USB 3.0 port it works, the same as if I connect the USB 3.0 device in the USB 2.0 port. But USB 3.0 devices in the USB 3.0 port it doesn’t gets recognized by the PC, so I can’t take advantage of the 3.0 tecnology. Since it works correctly in WIndows I asume it’s not hardware related. Any hint about how could I fix it?